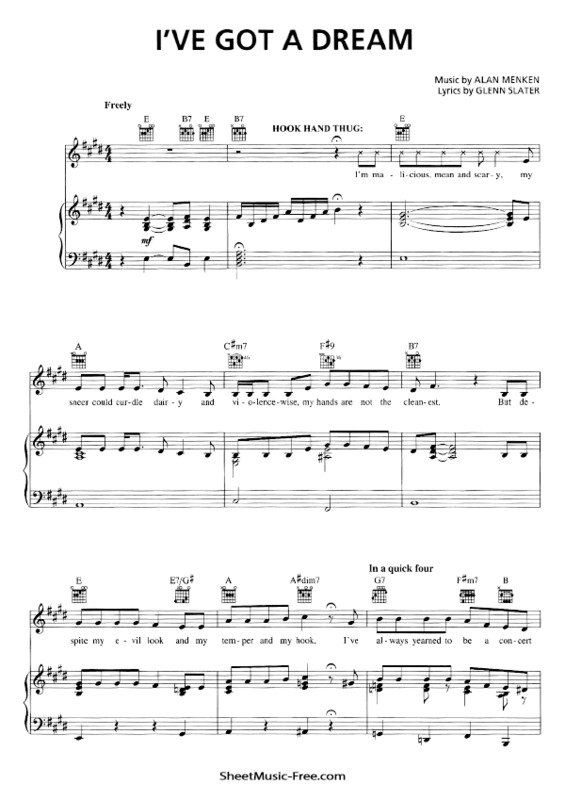 “I’ve Got A Dream Sheet Music” from Tangled, “ I’ve Got A Dream Sheet Music” for Piano / Vocal/ Guitar Chords , Original key: E Major, number of pages sheet music PDF: 10, Video and Lyrics song I’ve Got A Dream Sheet Music. “I’ve Got A Dream’” is a song is a song written by composer Alan Menken and lyricist Glenn Slater from Disney’s 2010 animated feature film, Tangled. I’ve Got A Dream Sheet Music Tangled. See, I ain’t as cruel and vicious as I seem! Rowin’ in a rowboat down the stream? I have dreams, like you — no, really! inside, I’ve got a dream!